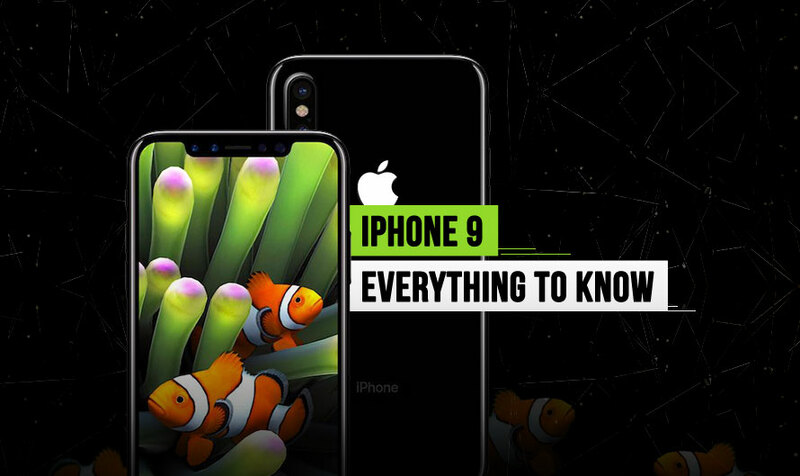 All there is to know about iPhone 9 & it's Plus variant! The Cupertino giant is yet to release the successor to the Apple iPhone 7 and iPhone 7 Plus, but the rumour mill has already received information about the future iPhones – including tidbits of the iPhone 9. We have already given our point of view on what features should Apple introduce on its 2018 iPhone lineup in a detailed post earlier. Today, we have lined up a list of features that have been doing a round-up over the past couple of weeks. > Welcome the first Bezel-less iPhone! Apple inking the deal with Samsung to get a supply of OLED displays hints about a big change coming to the design of the iPhone. This design change would mainly affect the bezel ratio as a company is believed to be working on drastic bezel reduction. The Bezel-less design gives room to increase the display size. Thus, new iPhone 9 is purported to come with a 5.28-inch screen and a 6.46-inch screen on the iPhone 9 Plus. Considering how far away the iPhone 9 is from the release date, the screen size and functionality might get adjusted down the line. The year 2018 would be iconic to Apple iPhones as major changes are slated to hit in the lineup. The Bezel-less design welcomes many secondary changes that would be required. Such as physical home screen button. The brand would have to let go of the circular iconic button to make way for the larger but similarly sized iPhone. Therefore, iPhone 9 would be a Legendary iPhone! > Performance that leaves you satisfied! While Apple iPhones considered being the best performing smartphones every year, they do get behind in implementing technologies faster. iPhones don’t need innovation, but Apple needs to catch up on technology. And which is why the brand might introduce 10 nm process based chipset on their iPhone 9. Quick fact – Apple iPad Pro (first and second generation) uses Apple 10X Fusion processor, which is first TSMC 10 nm chip to be used on a consumer device. So, iPhones may not have to wait much longer for an unmatched performance and efficiency. > Camera Experience like never before! Apple has already introduced their best camera on the iPhone 7 Plus – the dual rear sensor experience. The fact that dual cameras present on only one iPhone model, is going to change with iPhone 9. One of the major changes coming to the 2018 iPhones is the camera department. The megapixel count might be bumped up to 16MP with further f/1.7 aperture introduction. Thus, it will make iPhone 9 the best iPhone camera ever introduced. The Selfie experience will reportedly get improvements in form of LED Flash and improved aperture number of lens. > Unbelievably Long Battery life! Battery anxiety is one of the things that Apple hasn’t quite managed to improve over the years on its standard iPhone model. On the other hand, the battery life feedback for the Plus variant has been great. Which is why Apple iPhone 9 should have a large capacity battery. And it is about time that iPhone should sport built-in features like fast charging and wireless charging. Thus, offering a battery life that lasts longer! 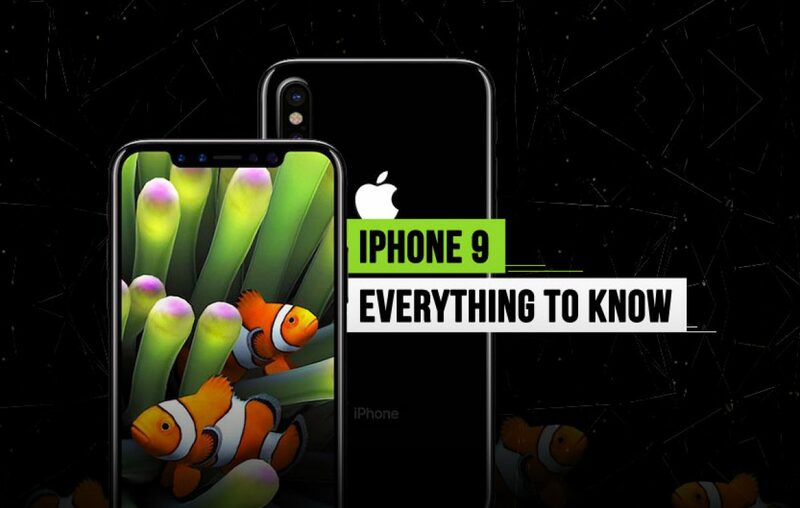 The iPhone 9 release date is quite far considering iPhone 8 is yet to be released in India. Moreover, the time hasn’t come yet to talk about the iPhone 9 price in India. For these things, you would have to wait until sometime in next year. For the time being the answer this question: What do you think of these iPhone 9 specs? Let us know in the comments section below. Previous article Best Tablet brands in India you buy from!